As summer gives way to autumn, Nature graces us with her own unique color palette with which to create: shades of red, gold, yellow, orange and brown. With your summer annual plants running out of steam and perennials cycling out of bloom, consider all the possibilities for bringing cheerful, fresh color into and around your home. Whether your goal is to keep it simple or you prefer to deck your halls, The Growing Place has a wide variety of plants, containers and decorative elements available to help you celebrate the seasons and welcome your guests during the fall and winter. Pots available in a variety of sizes, shapes and colors can be the foundation of your outdoor holiday decorating efforts. First, we recommend you purchase quality, high-fired glazed pots for their durability, especially in cold weather. Most people choose pots that complement the plants. 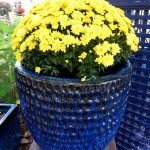 Consider the bold statement you can make by placing a yellow mum in a glazed, bright blue pot, or creating a combination arrangement in a bushel basket. Although it is safest to store pots in the garage or basement for the winter to avoid damage, we offer tips for winterizing your high-fired glazed pots if you choose to leave them outside in the cold weather. Make sure pots have drain holes and that they’re not blocked. When planting add foam peanuts or chunks of foam packing material to your planting mix to allow for expansion caused by freezing. Avoid ground contact by placing your pot securely on bricks or blocks; again, making sure the drainage holes remain unblocked. There are still many weeks to enjoy cold tolerant plants, either in containers or in the ground. Your porch or front walk can pop with color provided by a couple of big mums or asters, or perhaps a pair of combination planters. The same principles of design apply to fall combination pots as those created in the spring. We recommend you include a tall plant (also called a thriller), a medium height plant, (a filler) and a trailing plant, (a spiller). Examples of thrillers are upright sedum, chard (colors intensify as weather cools), and Pennisetum or Miscanthus ornamental grasses; their seed stalks provide texture and movement. 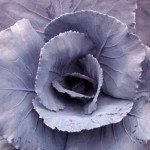 There are a wide variety of cold tolerant fillers including pansies, coral bells, snap dragons, cabbage, dianthus, kale and Angelonia. Spillers to consider are Lysimachia ‘Goldilocks, English ivy, and trailing sedum. Top off your planters with a pumpkin or scarecrow stake or even a colorful ceramic mushroom and you’re ready for fall. Here’s a season-extender tip: by adding evergreen boughs to planters containing grasses, cabbage or kale they can easily be converted from fall to Christmas. Cold tolerant herbs are great in combination containers that are not only attractive, but also edible. Herbs that can handle some frost and can be planted together or mingled with flowers include, sage, especially bi-color types, oregano, parsley, thyme and trailing rosemary. Fun fact: did you know that pansy flowers are edible and used by chefs to garnish their creations? Don’t forget perennials with interesting foliage like coral bells, hosta, and ferns. They make great container plants too. Nothing welcomes Halloween and Thanksgiving like pumpkins, squash, gourds, mums, straw bales, and broom corn! 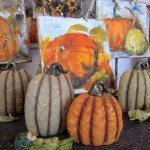 You can find these and all types of fall accents along with ideas on how to use them at The Growing Place. For those that want convenience, we have a selection of custom-design wreaths and pre-planted containers. And for those crafty types, we have both artificial and dried plant accents for indoor and outdoor decorating to make your own. 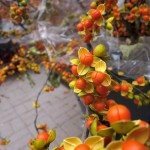 Bittersweet vine, a popular and attractive natural accent, is great for fall containers and wreaths. Materials available to fuel the creative imagination include dried wheat stalks, mushrooms, fragrant eucalyptus, yarrow and much more. 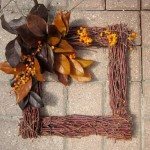 Welcome fall into your home as well. 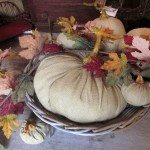 Fall interior can be as simple as filling a basket with real or artificial pumpkins and gourds or switch out a picture and tossing a hand-painted pillow from a local artist on a chair.